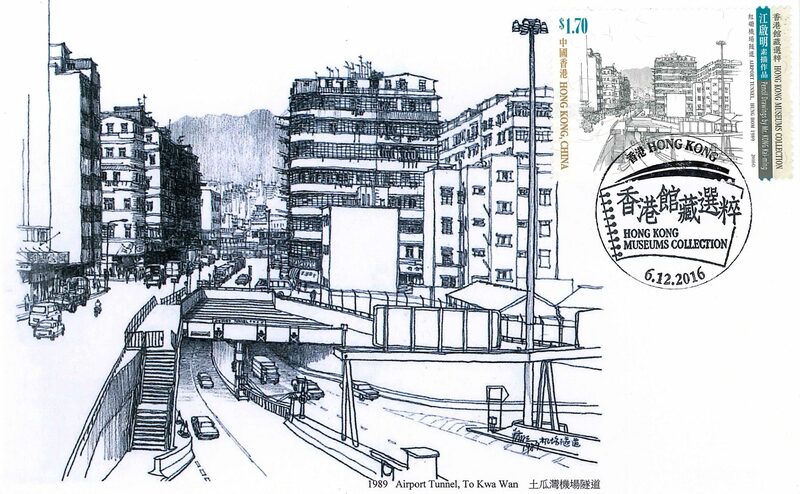 Back in 2016 something at Hong Kong International Airport caught my eye – a wall covered with incredibly detailed sketches of Hong Kong streets, with transport front and centre. A road tunnel at To Kwa Wan. A KCR train crosses over Argyle Street in Mong Kok. The Canton Road overpass in Yau Ma Tei. The MTR station at Kwun Tong. 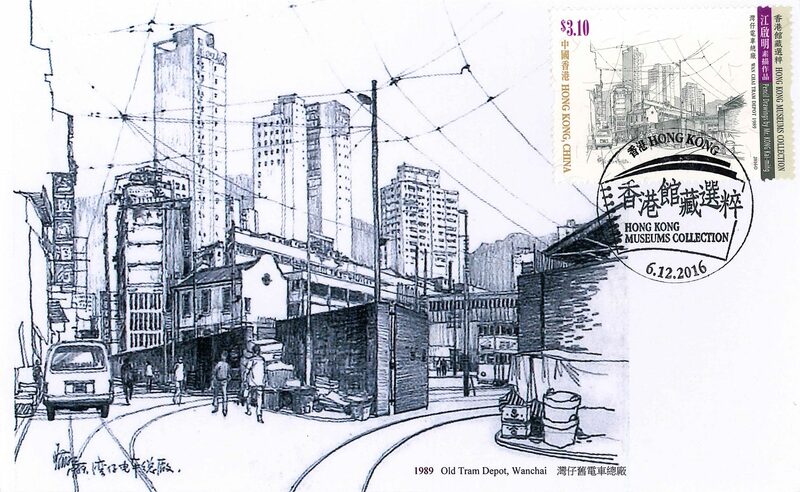 And the former tram depot at Wan Chai. 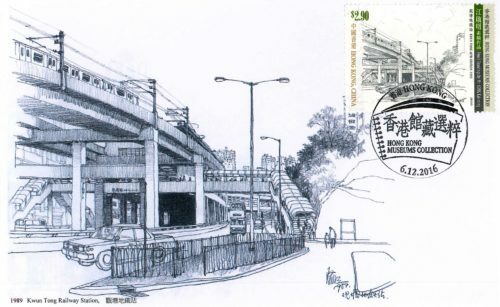 The sketches were the work of Hong Kong artist Kong Kai Ming. 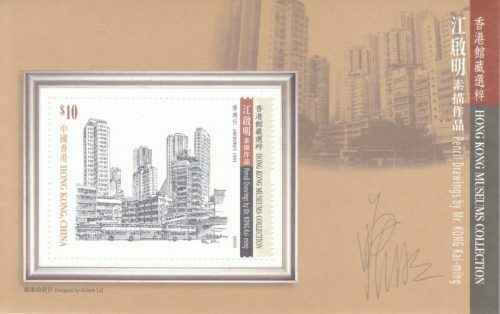 And were the subject of a 2016 Hong Kong stamp issue titled “Hong Kong Museums Collection – Pencil Drawings by Mr. Kong Kai-ming“. 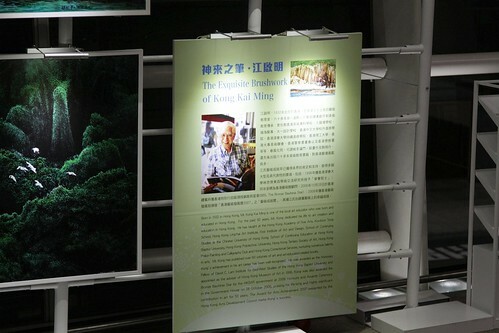 The Hongkong Post website features a short biography of Kong Kai-ming. 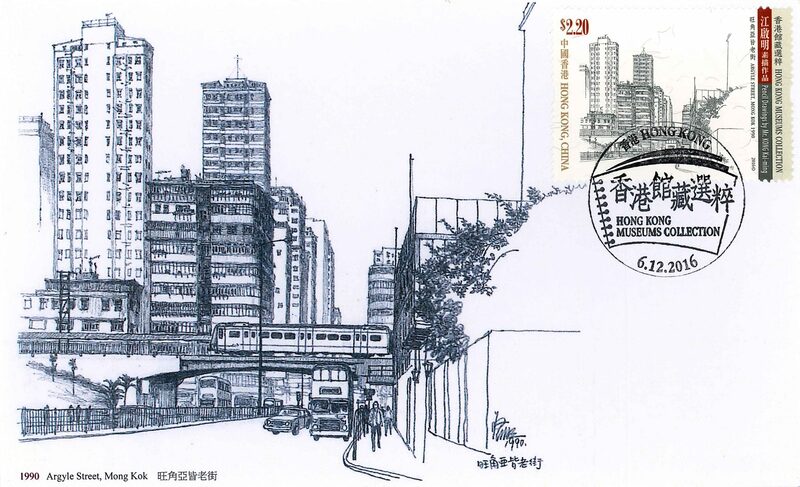 Mr. Kong Kai-ming, born in 1932, is a famous first-generation artist born and raised in Hong Kong. Devoted to drawing, painting and teaching of art techniques, Mr. Kong has made a profound contribution to local art and art education. Having published more than 60 volumes of art books over the past 60-odd years, he has gained widespread recognition for his accomplishments in the development of art. Mr. Kong has had a passion for art since his childhood. Unfortunately, amid the economic downturn at the time, he had to become the breadwinner of the family after completing his junior secondary studies. Despite that, he spared time to teach himself painting, practise art techniques painstakingly, and study art theory. 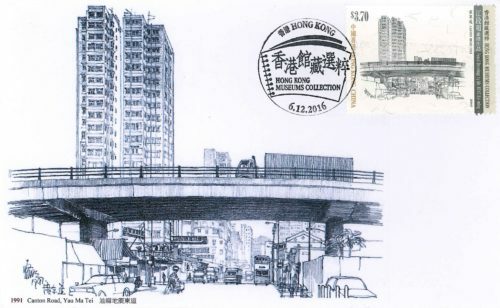 Particularly skilful at portrait and landscape sketching, Mr. Kong is conversant with a wide range of mediums, such as fountain pen and pencil sketching, watercolour, oil paint and printmaking. Mr. Kong has captured numerous streetscapes, pieces of architecture and means of transport in Hong Kong in the finest detail. His compositions are not only works of art, but also records showing what Hong Kong looked like in the past. 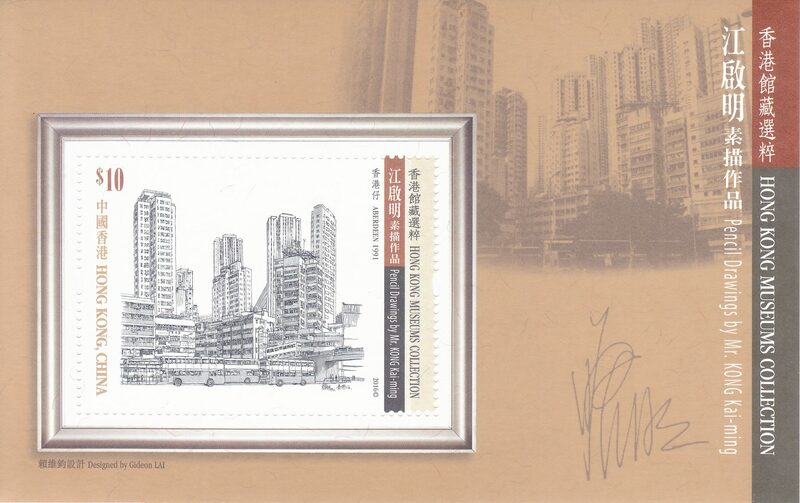 This is the fourth set of special stamps in the “Hong Kong Museums Collection” series issued by Hongkong Post. 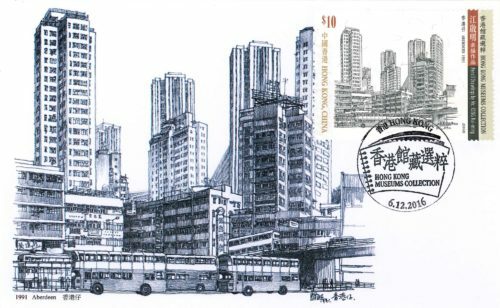 With “Pencil Drawings by Mr. Kong Kai-ming” as the theme, the set showcases seven pencil drawings by Mr. Kong during the 1980s and 1990s, all from the collection of the Hong Kong Museum of Art. Intaglio printing is used to highlight the meticulous detail of the original work. If only I could get a larger version of these prints for my wall at home. 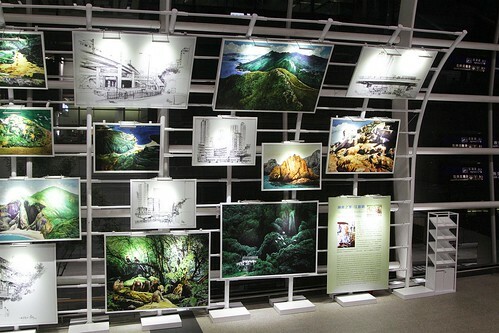 Hong Kong Memory has a collection titled ‘Scenery of Old Hong Kong’. Asia Art Archive has a transcript of a 2015 interview with Kong Kai-ming. 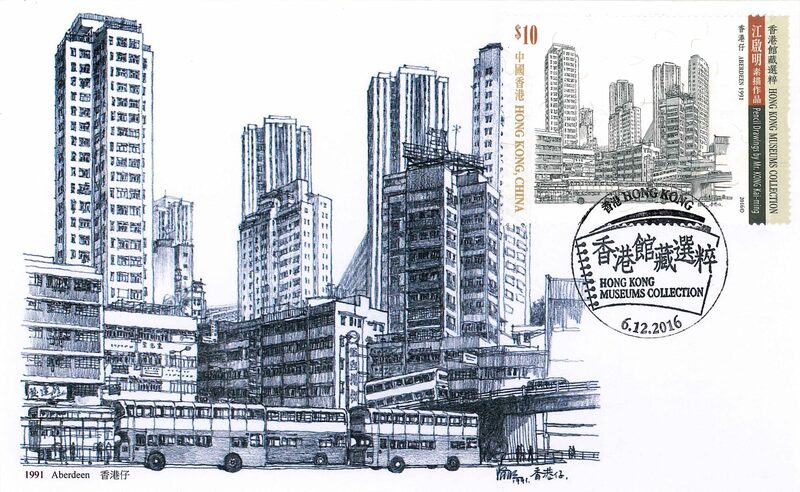 Hong Kong Baptist University Library collection of Kong Kai-ming sketches. This entry was posted in Transport and tagged artwork, buses, Hong Kong, Kong Kai Ming, Kowloon Canton Railway. Bookmark the permalink.